This photograph of Abrams Falls was taken after a hike off the Cades Cove loop in the Great Smoky Mountains National Park in Tennessee. 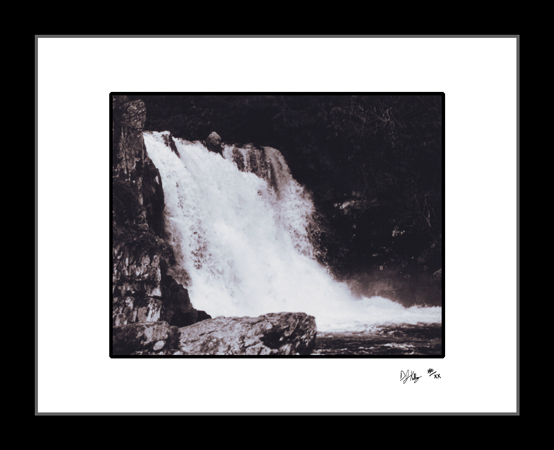 This black and white short exposure photograph almost freezes the flow of Abrams Falls which has the largest water flow of any of the waterfalls in the Smoky Mountains. The short exposure of this photograph captures the amount and force of water that flows over the waterfall in the mountain stream landscape.